After graduating from high school Jamie Alden Connell, of Nashville, GA attended North Georgia College for two years and completed his degree at the University of Georgia. He served in WWII, and later worked at Moody AFB near Ray City. 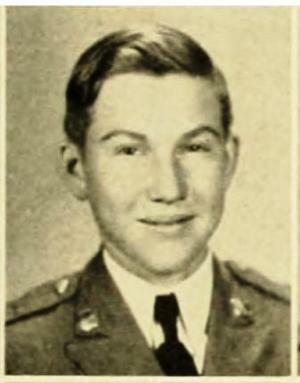 Photos below are from the 1939 and 1940 editions of The Cyclops, year book of North Georgia College. Jamie Connell. 1939. North Georgia College. Jamie Connell. 1940. North Georgia College. 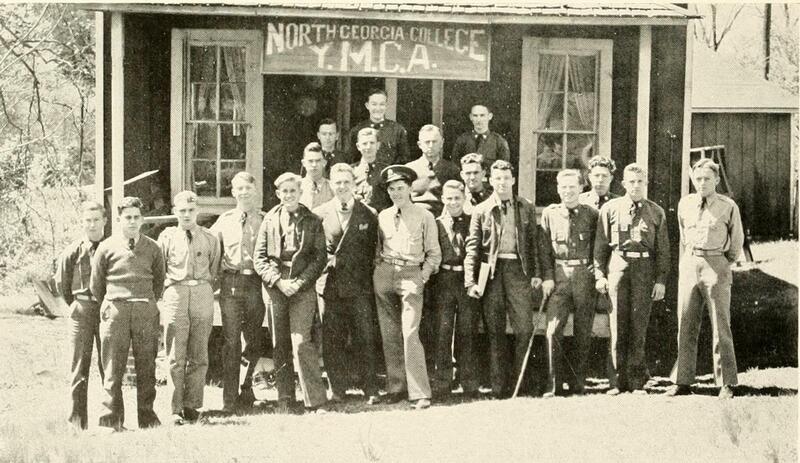 Jamie Connel, 1939, with other members of the Y.M.C.A. at North Georgia College. Jamie Connell, age 53 of Nashville, died October 17, 1973 in Tift General Hospital. He was co-editor of the Berrien Press, and had been since it was organized in 1959. He was a graduate of the University of Georgia, veteran of WWII; worked at the Nashville Post Office for several years; was public relations officer at Moody Field until his retirement two years ago. Funeral services were at the Nashville Baptist Church, and burial was in Westview Cemetery. Survivors: his mother, Mrs. Pearl Connell; 1 sister, Miss Dura Connell of Macon, and 1 brother – Ellis Connell of Warner Robins.